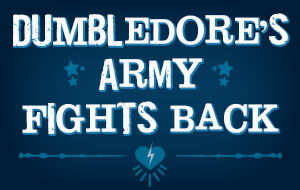 On Friday, we hosted our panel, “Harry Potter Alliance – The Weapon We have is Love” in Panel Room 8, at 6:30. Considering we were going up against Weird All Yankovic, we have a pretty good turnout. We talked about the history and mission of the HPA, and the recent events that the Portland Chapter has hosted. We focused on the difference that can be made by small acts, and how we all can change the world. It was well received, and several people visited our table afterward to ask for more information on getting involved. Overall, we connected with a lot of Harry Potter fans and made a little money. It was a good weekend for the PDX HPA. 77 people signed up for the PDX HPA email list. 31 new members have joined one of the Facebook groups.